Are you in the market for a new camera for travel photography? Find out about some of the most important factors you should consider in just two minutes, with these tips from David Bergman! As the saying goes, the best camera is the one you have on you, so for many travel bloggers, a DSLR may not actually be the best option for you, if you’re likely to end up leaving it back in the hotel room instead of taking it out. Think about how you’ll use the camera, and what you’re likely to want to carry around with you as you travel. If a little point and shoot camera fits the bill, as you’re more likely to have it on you when you actually want to take pictures, then that’s the one you should get! Next, are you looking to learn all the settings on your camera, and shoot in manual mode? If you’re looking to learn about using aperture, shutter speed, ISO and interchangeable lenses to take more creative shots, then you’re best off with a mirrorless or DSLR camera. Because these are ‘system cameras’, as your needs grow, you’ll be able to upgrade your system. A mirrorless camera is smaller than a DSLR, yet offers comparable image quality, so this type of camera is great for travel where size and weight is everything. Finally, if you choose to go ahead with a mirrorless or DSLR camera, you’re best off spending more money on quality lenses and buying cheaper camera bodies. that’s because as technology improves, you’re likely to want to replace your camera body every few years. Meanwhile, provided you stick with the same family of camera, you can continue to use your lenses well into the future, even if you change the camera body. You’ll find that doing so is a really great investment, and your lenses can quite literally last you a lifetime! When you start out, stick with the kit lens that comes with the camera, but once you get into it and learn more about your camera, you’ll be able to upgrade to some better lenses and you’ll never look back! One of our favourite picks at The Traveloid is the Sony a6000, which offers great performance at a great price in a small package. However, lenses for the Sony system can be more expensive than other brands, so a popular DSLR alternative is the Nikon D5300, or as a budget DSLR option, the Nikon D3400 is also a great camera, leaving you some spare cash to invest into a second lens! 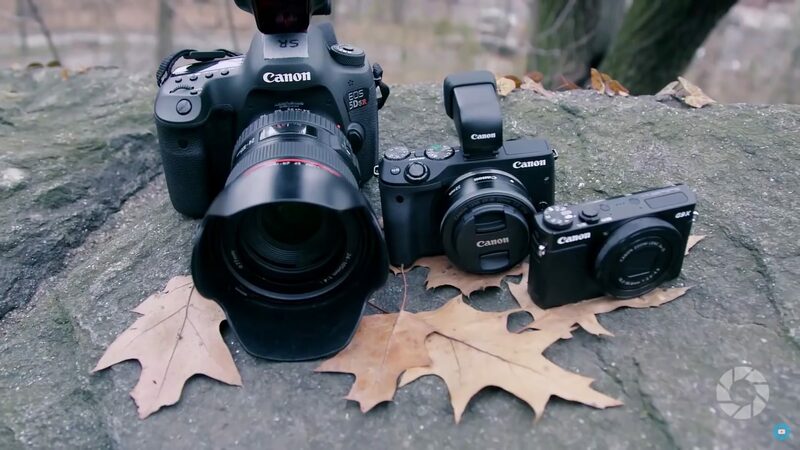 Picked up your new camera and want to learn how to make the most of it? The Photography Masterclass at Udemy is a perfect place to start!